I hope by this time you may have heard of the difficulty we have been having with the hotel in Knoxville, TN. We attempted to secure a date with them for 2016 right after the con had concluded. The hotel put us off even though the local football schedule was already posted. We found out later this is what many hotels in the local Knoxville area do. They look for groups with bigger numbers so they can charge a higher price for the rooms (sometimes three and four times the amount we paid.) 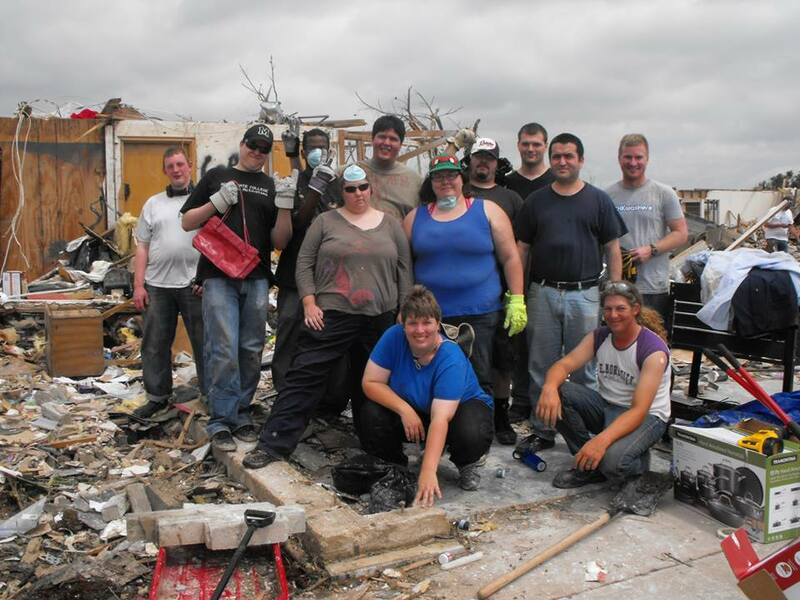 This year the football schedule only left a few open weekends for groups like ours. Our hotel for Fangcon 2016 will be the Hilton Hotel, Perimeter Park Birmingham, AL. We know this will come as a disappointment to many attendees but this is the same issue we ran into after our first year of the con when we started it up in Nashville, it became too late into the year to find good options for hotel space. 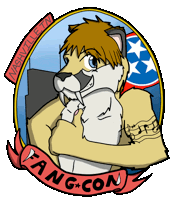 So it is either wait till 2017 and not have a con this year or make the best of it and see how well we do in Birmingham, Alabama. The con will be on the dates of Oct 27th through Oct 31st 2016. 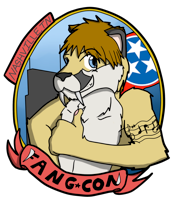 And that night will begin October 26 at Tennessee’s new Furry event, Fangcon. 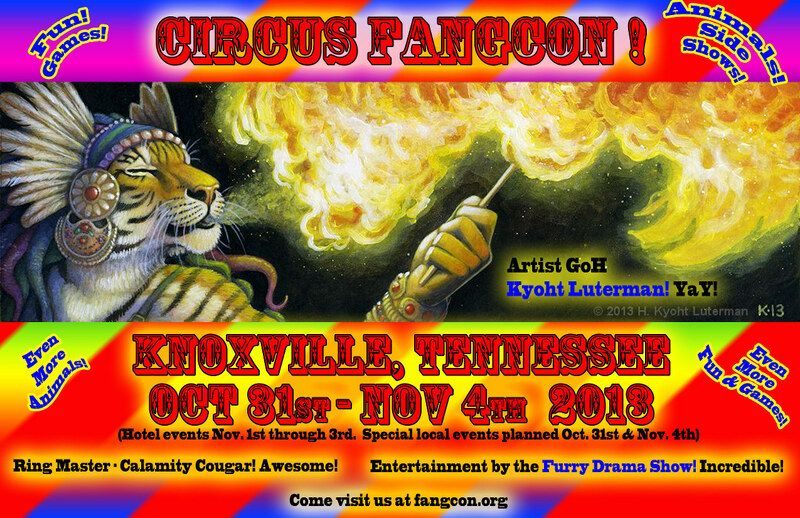 This three-day con will host its “Opening Night” in Nashville at the Millennum Maxwell House Hotel. Room rates start at $101 a night over the traditional Halloween weekend. Look for a lot of Halloween antics throughout the con, as well as activities. One of these is the Halloween Ball hosted by Goldenwolf. Bring your fursuit and dress your costume up in a costume. If you do not have a fursuit, just come in your own Halloween themed costume. After all, it is a Monster’s Holiday!